I’m so excited to share this Tuna Poke recipe with you today! 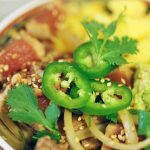 In this recipe there are going to be a few swaps to make this meal more delicious and an even a better-for-you choice! We’re swapping out the white rice for brown rice, heavy sauce for soy sauce and oil for corn oil. Why corn oil? 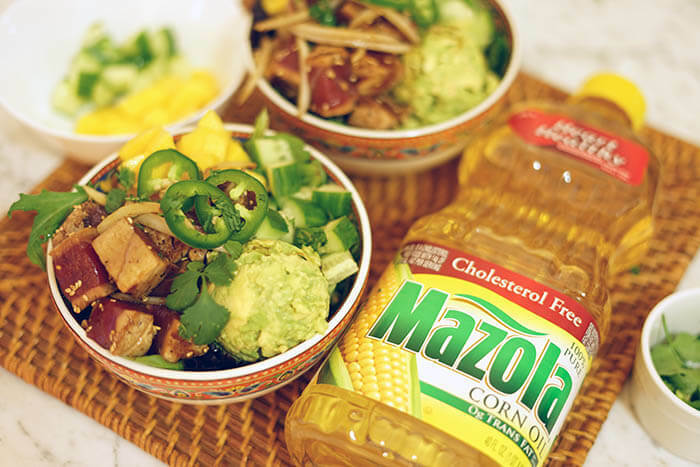 A recent study has found that adding Mazola® Corn Oil to one’s diet resulted in lower cholesterol levels than Coconut Oil. A previous study found that corn oil can also help lower cholesterol more than extra virgin olive oil. To learn more about the study, see Mazola.com. Making your own poke bowl is easy with seared tuna, avocado and mango. 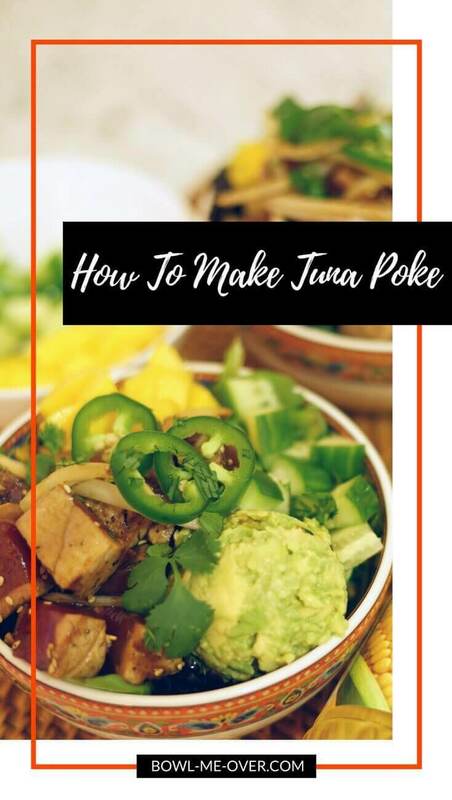 Want to learn how to make Tuna Poke? Sweet basmati rice is topped with a dollop of mashed avocado and diced mango. Perfectly seared tuna is diced and mixed with slivers of white onions and a sweet soy sauce. This bowl is topped with thinly sliced jalapeños, cilantro and sesame seeds. 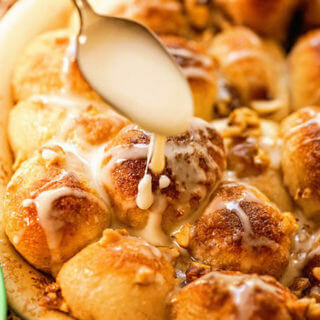 It’s easily made at home and so delicious! In fact it’s so good my non-fish-eating hubby said he could eat this every day of the week! Yup, it’s true! Mazola Corn Oil is an all-purpose cooking oil that is a smart heart-healthy choice for your family. Variety of uses include baking, grilling, sautéing, stir frying, or mixing up a marinade or dressing. Ok, first things first have you tried poke? Then let me introduce you! Poke (pronounced POH-keh) is a decidedly Hawaiian dish. It features raw fish that’s been marinated and then tossed in a bowl filled with rice. The bowl is then topped with vegetables and drizzled with additional sauce. What kind of seafood is used in Poke? 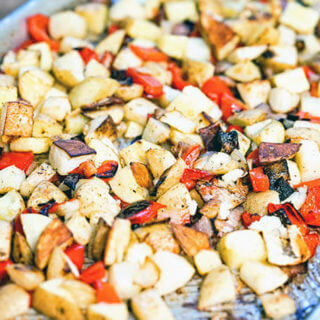 if you’re state-side you’ll often see shredded white meat chicken and seared vegetables too! 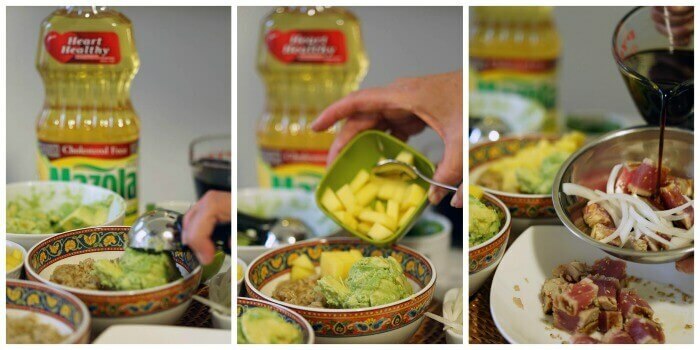 Building your bowl is easy, a dollop of mashed avocado, diced mangos and seared tuna mixed with sweet soy sauce. What kind of toppings are on Poke? Poke bowls are finished with an extra drizzle of sauce, a sprinkle of sesame seeds, chopped cilantro, Sriracha, chopped nuts, wasabi, pickled ginger – really the combinations are endless! How to make Tuna Poke? 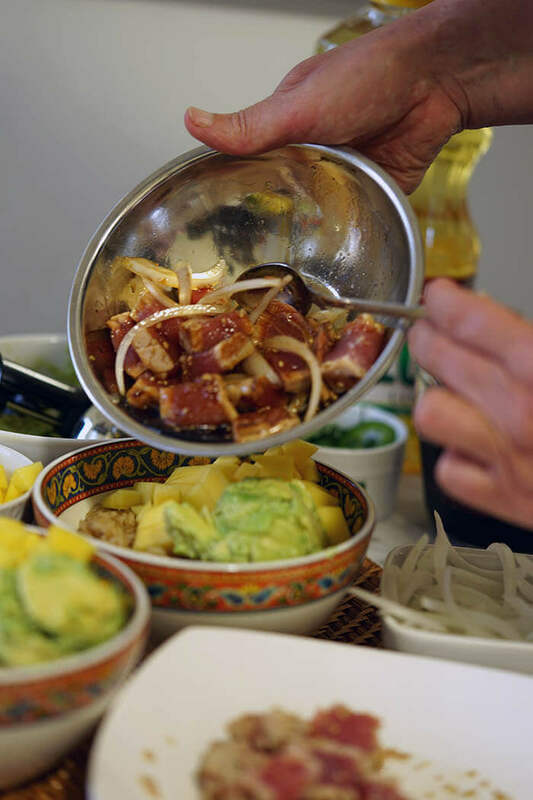 Top off the bowl with seared tuna poke, slivered onions and all of the sauce! My recipe, how to make tuna poke is definitely a California take. I love a great poke bowl and rather than spend the ($15 and up a bowl!) $$ to eat out, it’s an easy meal to enjoy at home using everyday ingredients. Trust me, this isn’t going to be hard to make and most of the ingredients you’ll have! Because we’re going to make it at home, that also means we will be able to customize the ingredients, making smart swaps to keep this poke bowl delicious and guilt-free! 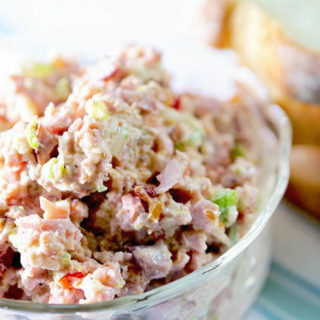 Making poke is easy – learn how to make tuna poke at home. Traditional poke bowls are packed full of white rice. We’re going to swap that out and use a brown basmati rice instead. The nutty sweet flavor of basmati rice is even better. Want to take it one step further? Swap out the rice for a bowl of greens – I usually make them with half brown rice/half salad greens. Often that last drizzle of sauce comes laden with a mayonnaise based sauce. Though delicious, I recommend a sweet soy sauce. It’s a great swap and keeps this meal light. The sweet soy celebrates the amazing flavor of the seared tuna rather than masking it. Using Mazola® Corn Oil is great for this application because it is made of 100% pure oil with no additives, so the great flavor of your food comes through. 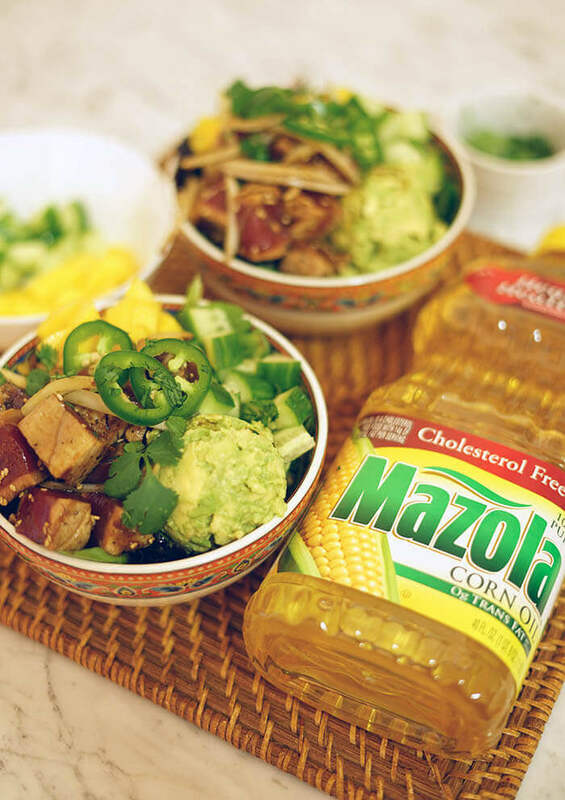 I also recommend Mazola® Corn Oil because it has a smoke point higher than most cooking oils at 450°F and performs well in a variety of cooking applications, including stir-frying, sautéing, grilling and even baking. Many home cooks may not realize that all cooking oils have a smoke point that, once exceeded, not only negatively affect the food’s flavor but also its nutritional value. 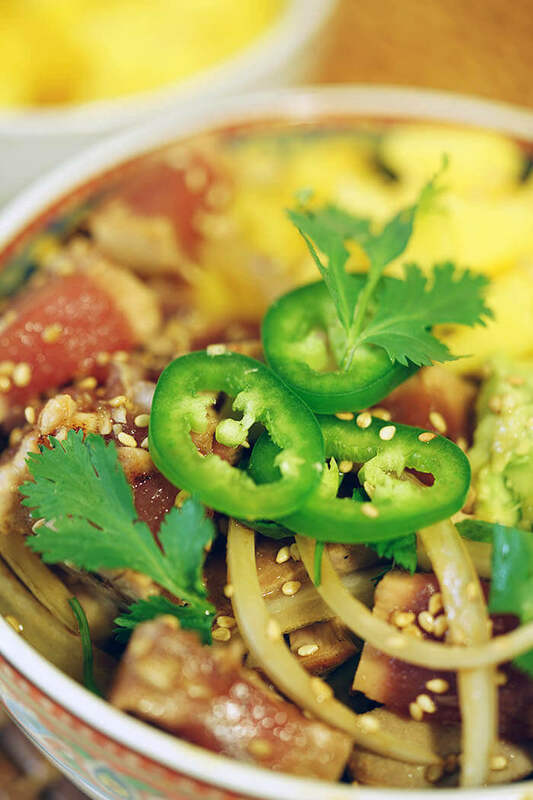 Grab your chopsticks and dig in, you’re going to love this poke bowl! Heat your grill pan or grill on high for five minutes, you want your grill screaming hot. Brush the tuna steak with Mazola® Corn Oil and lightly salt/pepper each side. Place the steak(s) on the hot grill for 1 minute 30 seconds on side one, flip and grill on side two for another 1 minute 30 seconds. The steak will be perfectly seared on the outside and still pink on the inside. Never eaten seared tuna? Then you definitely need to give this a try! More delicious bowls to enjoy! Teriyaki Noodles that are better than take-out! Tuna Poke is easier to make than you think! Sweet basmati rice is topped with a dollop of mashed avocado and diced mango. Seared tuna is diced and mixed with slivers of white onions and dunked into a sweet soy sauce. The bowl is topped with thinly sliced jalapeños, cilantro and sesame seeds. 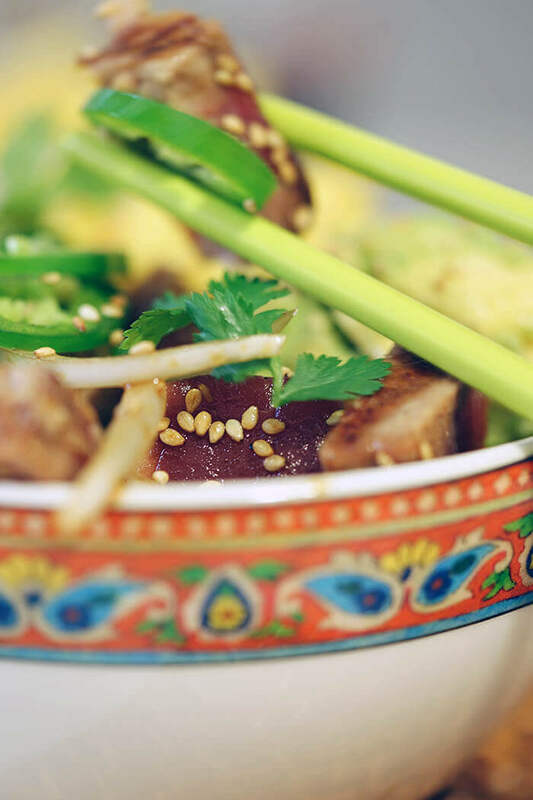 Want to learn how to make Tuna Poke? Sweet basmati rice is topped with a dollop of mashed avocado and diced mango. Perfected seared tuna is diced and mixed with slivers of white onions and a sweet soy sauce. This bowl is topped with thinly sliced jalapeños, cilantro and sesame seeds. Start by making the sweet soy sauce. Add the soy to a small heavy bottom pan and place over medium high heat. Add the brown sugar, water and star anise. Bring to a boil and stir until the brown sugar dissolves. Reduce heat to medium and stir occasionally. Continuing cooking for about ten minutes. It will reduce and slightly thicken. Remove from heat, remove star anise. Add *toasted sesame seeds and one tablespoon of Mazola® Corn Oil. Set aside to cool. Store it in a screw top jar in the refrigerator. This will keep for about two weeks. Peel the mango and dice. Slice the avocado in half. Remove the pit. Scoop out the flesh and mash together with freshly squeezed lemon. Cover tightly with plastic wrap. Slice jalapeños and mince cilantro. For the seared tuna, heat your grill pan or grill on high for five minutes, you want your grill screaming hot. Place the steak(s) on the hot grill for 1 minute 30 seconds side one, flip and grill on side two for another 1 minute 30 seconds. The steak will be perfectly seared on the outside and still pink on the inside. Remove from the heat and dice into cubes. Add cooked rice and or salad greens to a bowl. Add a scoop of avocado and diced mango to each bowl. Mix the cubed tuna and slivered white onions with about 4-5 tablespoons of sweet soy sauce. Split between the two bowls, pouring the excess sauce over the bowls. Garnish each poke bowl with chopped cilantro, sliced jalapeños and sesame seeds. 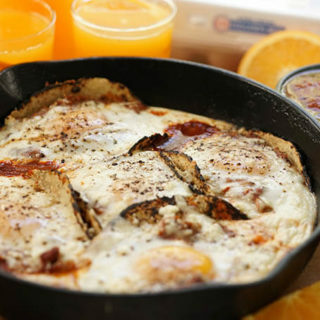 * To toast sesame seeds, place a heavy fry pan (cast iron works great) over low heat. Add the sesame seeds and roast them dry. Keep an eye on them, it only takes minutes. If you can smell them toasting they are done! « Barbecue Pork Ribs that will melt in your mouth! This looks really good. Maybe if I try hard I can even make it as its really straight forward in how to do it. Love new things to try. You certainly can Lois – I know you’ll enjoy it too. Thank you for your support of the blog!! Wonderful – I hope you really enjoy it Ang!!! Can you believe that I was JUST wondering if I could ever make a poke myself? I LOVE poke! Yet it’s SO expensive and so hard to find the good one, even here in LA! I LOVE this recipe! I’d never think I could make it myself, but now I know that I can! Thanks! Totally Liza, you got this! Homemade poke is even better at home. You’ll have this on the table in a snap – enjoy! I am a huge fan of poke bowls but haven’t yet tried to make my own! We’ve got a great local fish place nearby, I need to go get some tuna and make this asap! Looks fantastic!! Thank you Angela, homemade is even better. This is one of our favorite meals! How did you know that this is one of my favorite meals! Thanks so much for the great recipe! Yum! You’re so welcome Debi, enjoy! I looooove poke! We used to eat it all of the time when we were living in Hawaii. It’s one of the things I miss the most! I love that I have your recipe now to make it at home! It looks delicious! Ashlyn you should definitely give this a try! Bring that Island spirit home – enjoy! I LOVE poke!! I have never attempted to make it at home! That’s changing!! Thank . you!! You’ll love this then! It’s so easy and that sauce is delicious! Thanks for stopping by Michaela! Poke is a dish I would eat often when we lived in Hawaii, but I’ve never made it myself. Love the sweet mango and jalapeños together that you added. This is good to be good! Enjoy Sandra, I hope it takes you right back to the Islands! Aloha! I keep hearing everyone talk about the health benefits of salmon but I just can’t seem to like it. I much prefer tuna! It is the perfect canvas for so many flavors. I love that all you have to do is sear the sides briefly and then toss it with all the other goodies. Thanks for the shopping list too! You’ll love this then! The sauce lightly coats the fish and so nicely flavors the meal – enjoy! We LOVE poke, but I’ve never made it at home… That’s about to change, though! 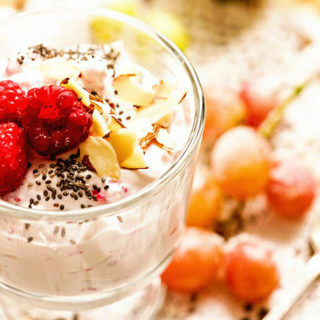 Love this recipe and all the ingredient options you’ve provided! Poke is one of my fav meals! Love the versatility that’s offered with it – enjoy Michele!! I cant believe what a difference the star anise made in this, so subtle but made it just sing! Loving your recipe!! Thank you Michele, I’m so glad you enjoyed this recipe! I love tuna poke! Making it at home is a brilliant idea! Me too – enjoy Madi! I hope get a chance to make this at home! This tuna poke looks so delicious! I just love all of the flavors and textures. I don’t need one more thing. This is a complete and delicious dinner and would be a stunner for entertaining! Absolutely! 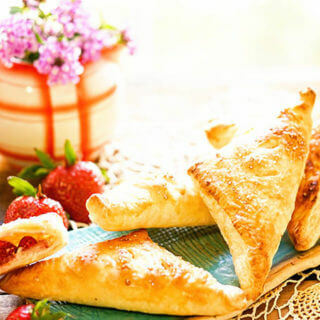 And so quick and easy you’d definitely WOW your guests – enjoy Julie! !